In the midst of all that, I had to finish the cover story in this week’s Washington City Paper, about the 10th Capital Fringe Festival, which kicked off Thursday evening. 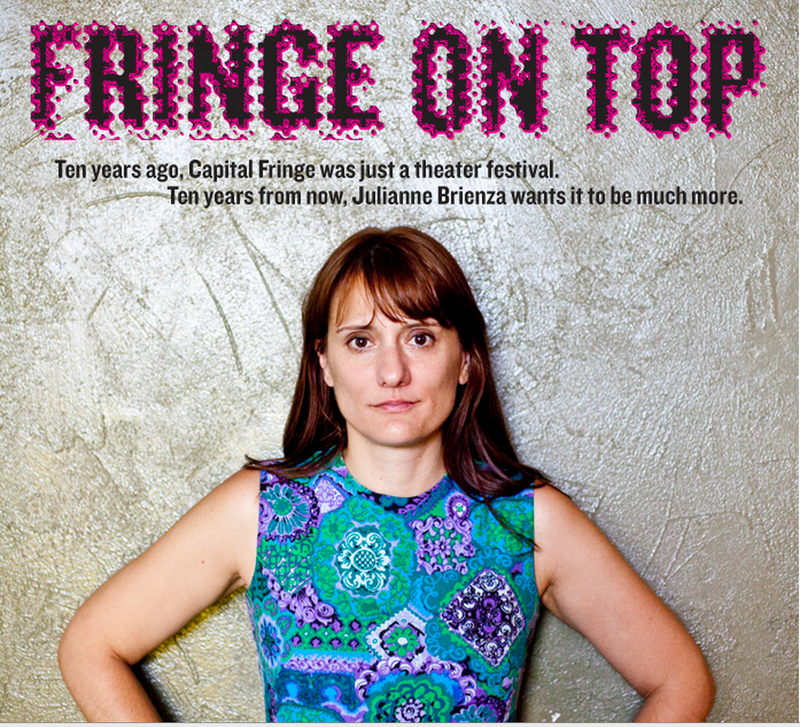 I hope you will find it answers all your most pressing questions about Capital Fringe and co-founder/Executive Director Julianne Brienza’s plan to take it higher. I mean that literally. She wants to add three floors to the building she bought last year in Trinidad. I wrote a prior cover story about CapFringe in 2010, and I covered the festival every summer from 2010 through 2014 as the editor of Fringeworthy (née Fringe & Purge), WCP’s dedicated all-things-Fringe blog. This year, I decided I’d rather attend the NCI than run the blog a sixth consecutive time. I’ve handed off the keys to a very capable successor. This entry was posted in theatre and tagged Capital Fringe Festival, Fringe & Purge, Gerry Widdicombe, Julianne Brienza, Peter Korbel, Washington City Paper. Bookmark the permalink.